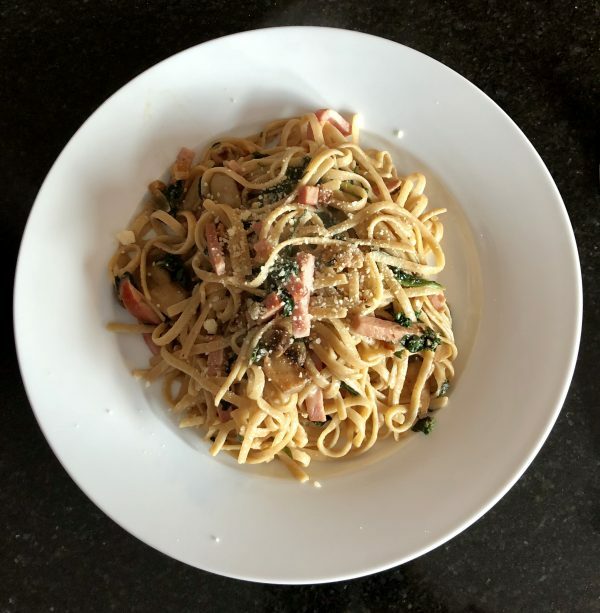 A "what's in the kitchen" dish that can be pulled together quickly! Cook the orzo pasta by boiling in salted water until tender. Drain and set aside. 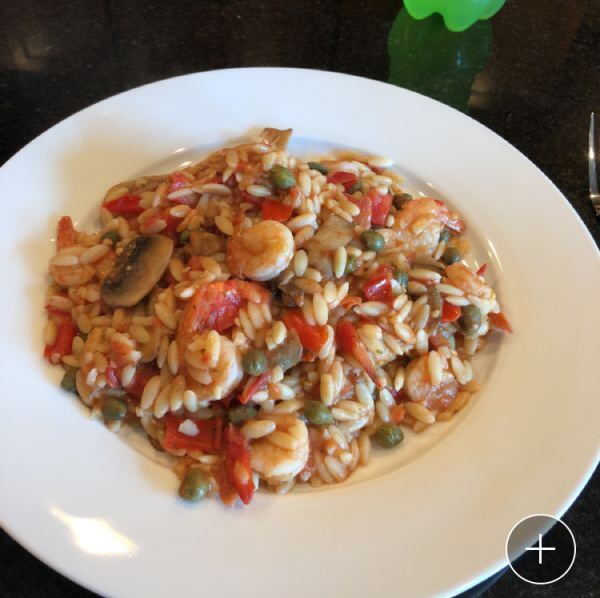 While the orzo is cooking, place the frozen shrimp in the frying pan and cook on medium-high heat to thaw. Once the ice is off, drain the water from the pan. Add the diced tomatoes, mushrooms, and basil leaves. Stir and cook until the mushrooms start to soften. Drizzle with olive oil and add garlic, capers, and Italian dressing. Cook until reduced. Salt and pepper to taste and serve on a plate. 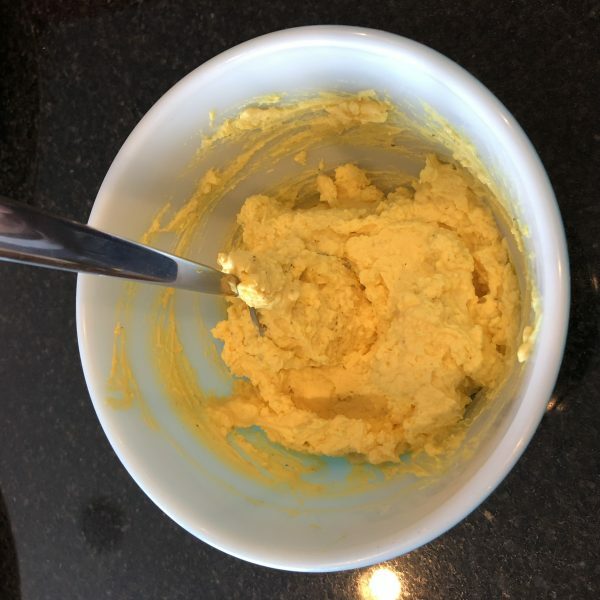 Squeeze or scoop out egg yolks into a bowl. 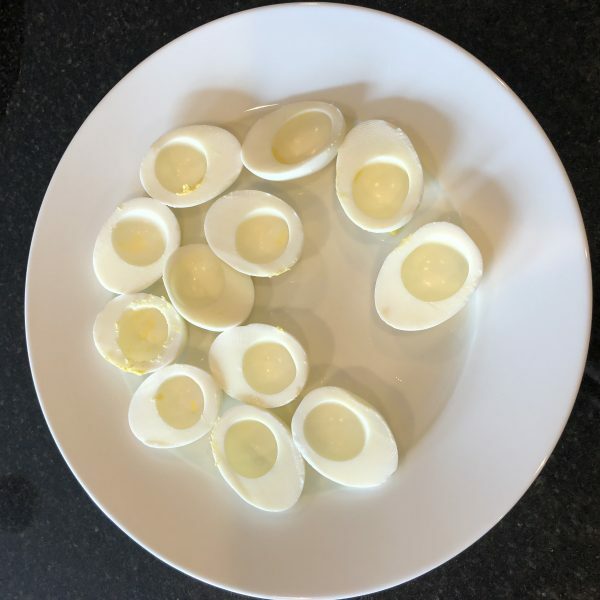 Set aside egg whites. Add all remaining ingredients, except paprika, to egg yolks and use a fork to mash until smooth. 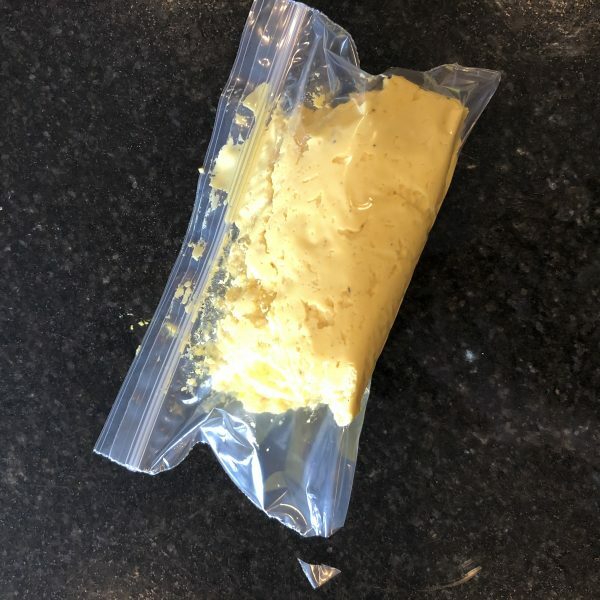 Put the yolk mixture into a Ziploc bag and cut a small piece of one of the corners off. Squeeze the bag to squirt the yolk mixture into the egg white halves. Cut off and discard the stem and core of the peppers. Halves them lengthwise and thinly slice crosswise. Cut off and discard the root ends of the scallions. Thinly slice crosswise keeping the white bottoms and the green tops separate. Heat a pot of salted water to boiling. Add pasta and cook 14-16 minutes or until tender. Drain thoroughly and return to pot. Stir in half the vinegar and a drizzle of olive oil. Pat the shrimp dry with paper towels. Remove tails. In medium non-stick pan, heat a drizzle of olive oil on medium-high until hot. Add the shrimp in an even layer and cook without stirring 1-2 minutes or until slightly opaque. Add the garlic, peppers, capers, white portion of scallions, and as much red pepper flakes as you'd like. Season with salt and pepper. Cook stirring occasionally 2-3 minutes or until the peppers are slightly softened and the shrimp are cooked through. Add the verjus and remaining vinegar. Stir frequently and cook 1 minute until combined. Serve the finished shrimp over the cooked pasta and garnish with the green scallions. Once the water is boiling, stir in the linguine and return to a boil. Cook the pasta uncovered, stirring occasionally, until the pasta has cooked through, but is still firm to the bite, 8-10 minutes. Reserve a cup of the pasta water before you drain well in a colander set in the sink. Stir in the garlic, shallots, and red pepper flakes until the garlic is fragrant but not browned, about 3 minutes. Add the spinach and mushrooms and stir until the spinach is wilted. Stir in the walnuts and cook until the nuts give off a toasted smell, about 2 minutes. Stir in the sliced ham and cook the mixture until the ham is hot and beginning to brown, about 5 more minutes. Add the pasta to the skillet and lightly toss with the ham mixture. Add some of the pasta water as needed to keep it moist. Plate the dish and sprinkle with chopped parsley and parmesan cheese and serve hot! A basic pasta recipe that's perfect for "doctoring up"
Add penne pasta to the pot and cook 10 minutes until al dente. Drain. In a small frying pan, saute the onion. In a large bowl, toss the cooked pasta with the tomatoes, Italian dressing, basil, red onion, and top with Parmesan cheese. Add additional vegetables such as green peppers or mushrooms. Sauté with the onions before adding.